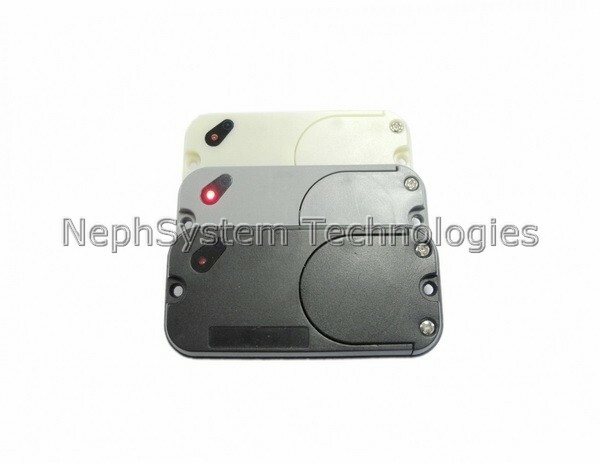 The NephSystem Technologies’ NSAT-706 2.45GHz Active RFID heavy duty asset tags are active tags that continuously transmit unique ID numbers. This tag can contain both the LED and buzzer features to conveniently find tagged items easier or alert tag wearers. 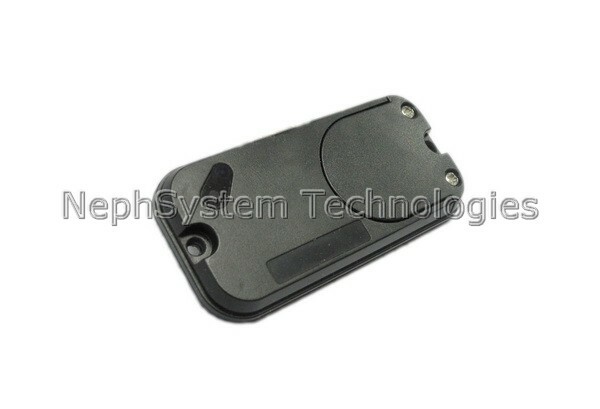 NephSystem Technologies’ NSAT-706 2.45GHz Active RFID heavy duty asset tags are active tags that continuously transmit unique ID numbers, which can be detected and decoded by NephSystem’s NSAR series of active readers. This tag can contain both the LED and buzzer features to conveniently find tagged items easier or alert tag wearers. It also has a built-in 512 bytes capacity of user memory. By using NSAR series of active reader/writers, users are able to store up to 512 characters onto the tag. They use advanced 0.13um CMOS IC technology and provide ultra-low power consumption, ensures longer battery life (up to 2 years) at higher rates of transmission. The internal Lithium battery is replaceable as well. The NSAT-706 tag’s unique anti-collision feature allows for a simultaneous read of up to 200 tags and up to 80 meters reading distance with NephSystem’s NSAR series of active readers. With its built-in LED and Buzzer features, users are able to make NSAT-706 flash or beep via the software control, especially useful in asset locating & tracking and warehouse inventory management. The NSAT-706 tag use industrial PVC housing that allows them to work under any harsh environment (IP67 rated). NSAT-706 tag is ideally suitable for varied appellations such as Valuable Asset Tracking, Security Management, Shop Floor, Automotive Tracking and Security, Military Asset Tracking, Cargo and Container Tracking, Airline unit load devices, Construction and Heavy Machinery, etc. 1. Hi, We are setting up an in-car RFID tracking system for a carpark. The RFID tags will be fixed on the windshield inside the car. The main element that is mandatory is that the active tag is able to make a “beep” or sound notification when the reader scans it. This is so the driver can confirm they have been tracked. Due to this requirement passive tags will not be suitable as they are unable to make noise. Can you advise if you have active tags that make noise when scanned and the approx. cost for 300 units plus a scanner/reader to suit. We are in Sydney, Australia. 2. What is the cost for one of these units? What is the nominal and maximum distance of operation ... distance to read a RFID tag? 3. Hello, how much do these tags cost per unit and what batch size? Also, are these tags capable of being written and read from using RFID readers not manufactured by you? Please email me your response.